From the musicals, to the plays, Eagan students are constantly at work on the stage. 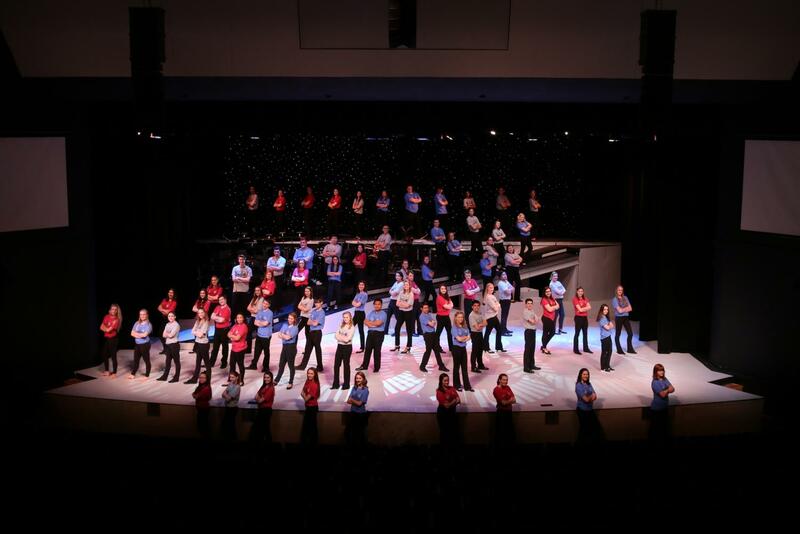 Among these many productions, Encore is an original, themed, variety show that features Eagan High School’s talented dancers, singers, and instrumentalists. It is a high-energy show unlike any other here at Eagan. Anyone is welcome to join Encore, regardless of whether you’re in choir or band. To participate, all you need to do is audition. All the audition information can be found on the Encore web page, which includes a demo of the audition song. Vocal auditions will be held February 27 or 28. If you would like to be considered for a featured dance role, auditions will be held February 27 or March 1. This year’s theme is “The Edge.” It will include groups of songs that somehow relate to this broad title. There will also be a heavier focus on the behind the scenes aspect of the show. Stills and video will play a large part in the performance.The audience will develop a larger appreciation of what goes into making this all happen. As for behind the scenes jobs, there will be numerous available. Set building, running crew, costume help, and video/camera crew are some examples, just to name a few. Shows will be taking place April 27 through May 5. Tickets will be on sale starting April 11.